COLERAIN TOWNSHIP, Ohio (Perry Schaible) — Crews were called to the scene of an apartment building fire at 2302 West Galbraith Road near Pippin Road. 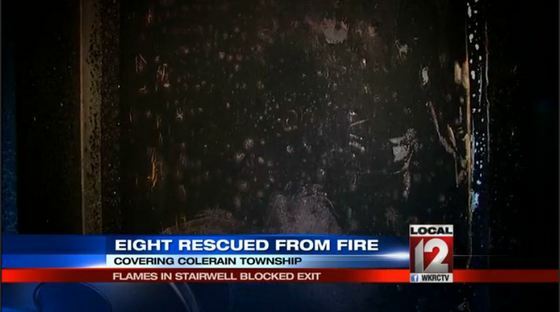 Eight people were trapped inside and had to be rescued Friday, May 29. 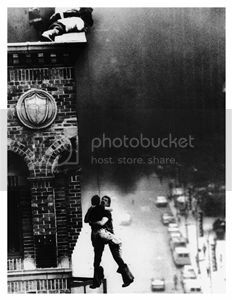 It was difficult for them to get out because of smoke and flames in the stairwell. Six people had to be rescued out of the top floor down a fire ladder. The other two were able to get out the door. Neighbors said they saw a man running from the apartment complex dressed in black shortly before the fire began. Fire crews were not commenting on that at this time. Colerain Police have joined the investigation but they weren’t saying if they considered the fire it suspicious. A second alarm was called to the scene and the fire was knocked down quickly.